E is for Explore! : What's In Your Ecosystem? Communicate with schools around the U.S. and countries around the world to see if all ponds contain the same abiotic and biotic components. What makes up a pond ecosystem? How do organism's work together to keep it thriving? Join CIESE's Bucket Buddies or The Square of Life to observe, record, and share environmental studies with school's world-wide. Bucket Buddies focuses on pond life. 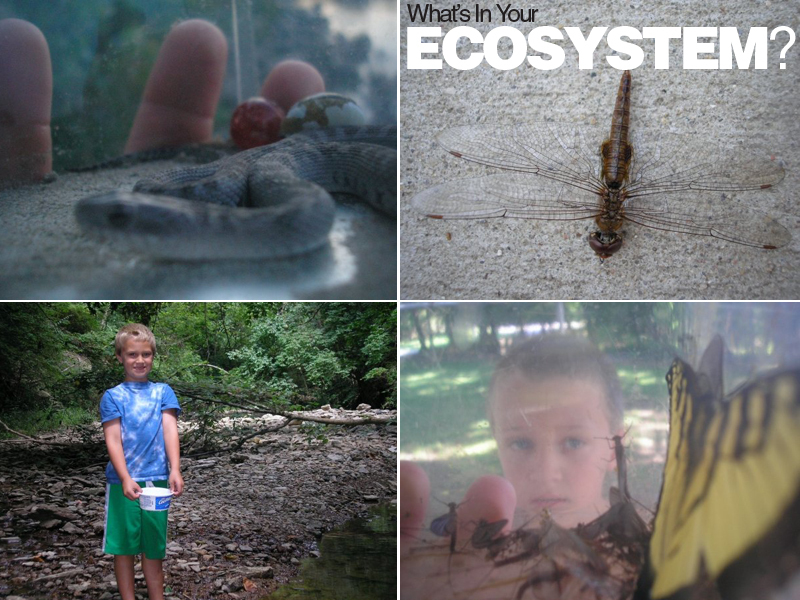 Kids head to their nearest pond and fill other's in on what's going on in their local pond ecosystem. The Square of Life Project has kids examine nature in the school yard. How is their school environment different from other's?